Fred was born in America where he completed half of his medical degree at Temple University in Philadelphia. Wander lust took hold and he left his studies to travel the world with plans to return and complete the degree. He arrived in Australia in 1968, following a brief stint rescuing snow bound sheep on the South island of New Zealand. On Christmas Day, he met his wife, a world travelling British nurse, and was married eight months later. Plans for returning to his medical studies in Philadelphia were put on hold. He did, however, commence doctoral studies in clinical psychology at the University of New South Wales where he ultimately worked for about 30 years in the Counselling Service. During this time, he conducted a part-time private practice which continues to this time. 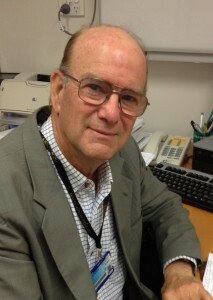 Fred holds a conjoint senior lectureship in the Faculty of Medicine at UNSW and is a Visiting Medical Officer (Psychology) at the Prince of Wales Private Hospital. Apart from his professional activities, Fred swims each week with a local training group at Heffron Park Pool, cycles regularly, and plays golf – but not frequently enough. He volunteers at the Randwick Library and convenes the Next Chapter Art Group. He also serves on the Council of the Art Gallery Society of New South Wales. Fred is a member of the Australian Red Cross Emergency Response Personal Support Team within the Sydney CBD and Eastern Suburbs. Fred has written eight books, mostly psychology self -help books about study skills and examination preparation and performance skills. These books have been translated into numerous languages and foreign editions. Other book topics include family relationships and work practices for young people entering the workforce. Fred sees individuals who have performance concerns about forthcoming examinations (particularly medical and dental fellowship candidates and HSC students) as well as members of the workforce who have incurred injuries and wish to return to their jobs. Fred is an certified NSW WorkCover consultant. As a former dedicated competitive swimmer, Fred also sees elite athletes who have anxiety and/or self-confidence concerns. One of his books, How To Succeed at Part-Time Study, addresses the plight of the travelling elite athlete who is also trying to keep pace with high school or university studies. Appointments can be made by any interested person. However, if their GP writes a referral under the Medicare-Psychology program, including a health management plan, they can qualify for bulk billing for up to six consultations, with possibility of a further four sessions following a GP review.